New Remote Desktop is ready for you. Own a powerful remote machine to run your always needs to run software! 100% uptime and powerful with dedicated RAM. These Remote Desktop server can run any windows program without any performance loss. This is a must have remote server for forex trader, marketer, social blogger. Having Trouble With SMTP Server? You have a good email sender but you can't send mail because of SMTP Server. To make email sending more easier we prepared VIP SMTP Server. VIP SMTP Server works with any mail sending software. Very easy to use. Upon purchase we will provide SMTP Server Name, Port, Username and Password. Each server contains dedicated IP address. We know how important it is to keep IP address away from blacklisting databases. Alternate port number (viz. 587) to avoid blocking. You will get full server access. You can even read incoming mails after loggin into VIP SMTP Server. 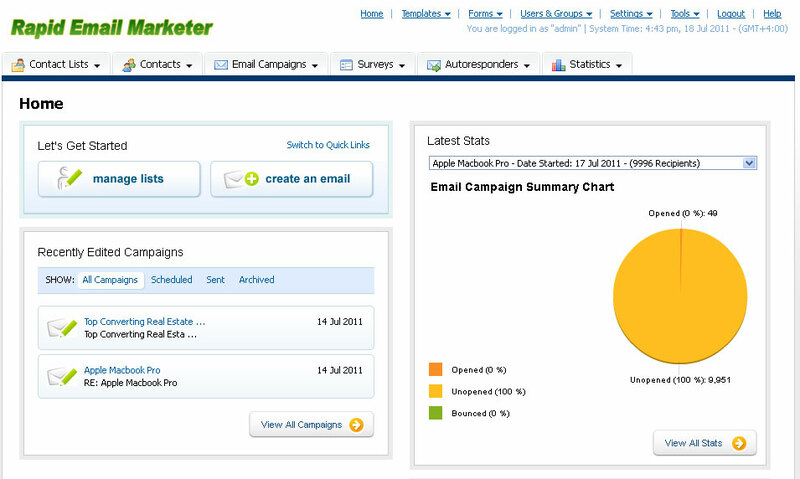 Rapid Email Marketer, all in one webmailer that handles all email marketing task for you. Simply, load your list, create a campaign and start sending it and forget about it. Rapid Email Marketer will send that campaign in background while you don't have to present in front of your PC. No software to download and everything in one box. No Software to Download or Install! You will get a complete VIP SMTP Server with Rapid Email Marketer installed. Just load your list and start sending mail. 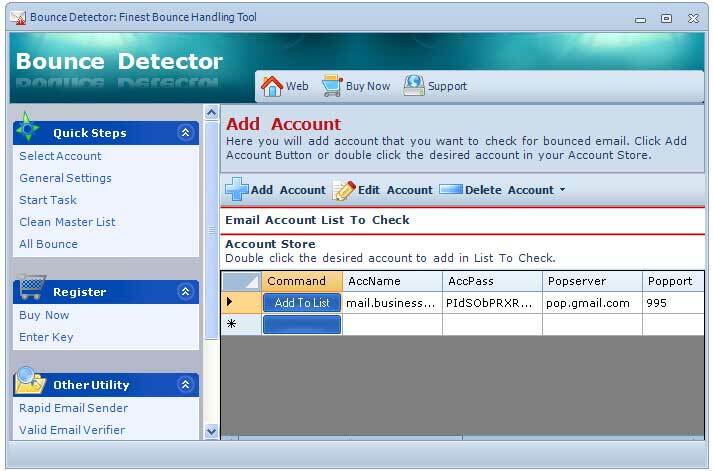 Automatic Bounce detector that collect bounce and remove bounce email from your list. Check message content for spam keyword and remove them to ensure inbox delivery. Easy unsubscribe management and spam filter compliant webmail version of sent campaign. Send email in any language include attachment. Built in automated email tracking. Detailed email sending reports includes click through rate, bounce, unsubscribers, e.t.c. Unlimited auto responders to maximize your email marketing efforts. 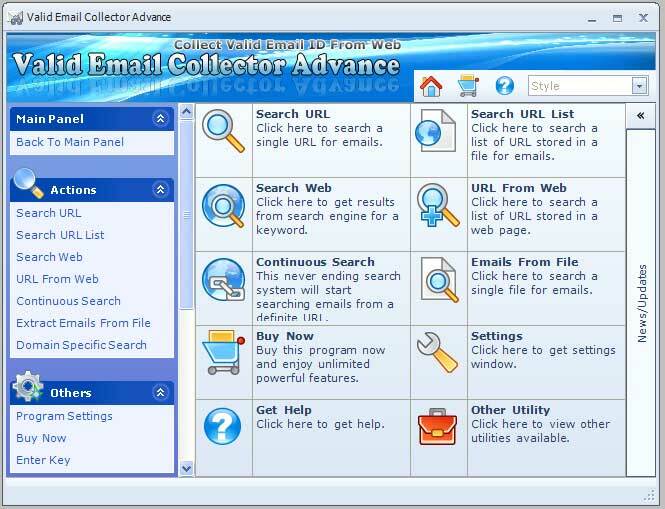 New Valid Email Collector Advance with 185 search engine is a powerful software to get emails from the Internet. 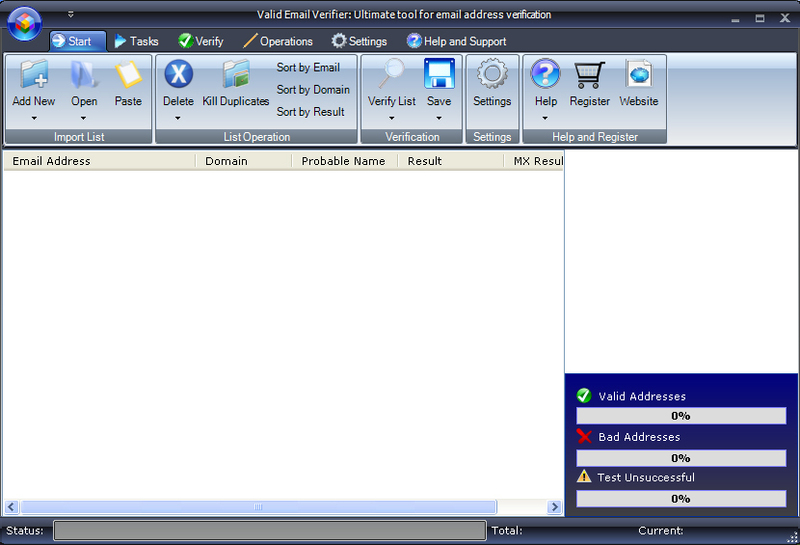 Valid Email Verifier is a kind of software that can verify an email address. It helps anyone to make proper use of SMTP server and maintain a large list neat and clean. Its 3 types of different email verification system can provide 100% correct result. You don't want to blacklist your server and you want to verify your recipient before sending them mail then this software is a must. Stop spending money for SMTP for bounce mail. Always keep your list 100% verified. 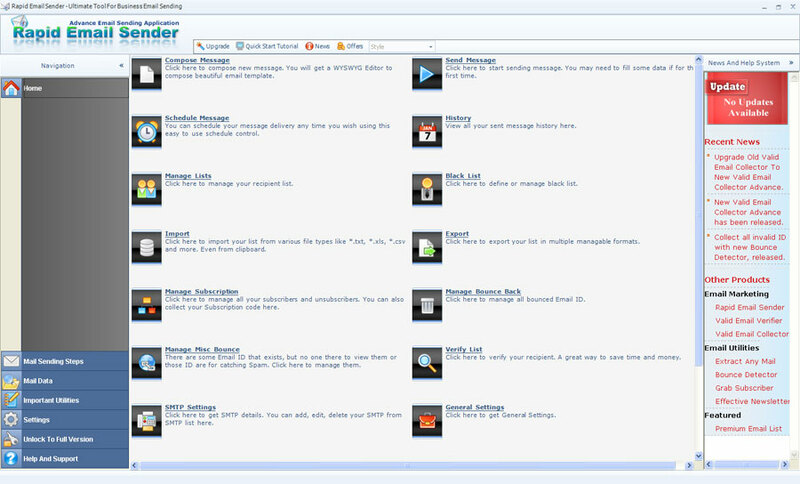 New Rapid Email Sender Advance has been released. Using this email sender you can send unlimited number of mails. Rapid Email Sender + VIP SMTP Server will remove all your email sending problem. If you are new in email marketing then there are easy mail sending steps to guide you through. If you are an old user and having trouble using email sender because of SMTP problem then try Rapid Email Sender Advance. Our Email Sender provides VIP SMTP and Prepaid SMTP Server. Bulk mail sending facility with fast email sender console that supports multiple connection at the same time. Bounce Detector is a small program that helps you find bounce/invalid email ID. 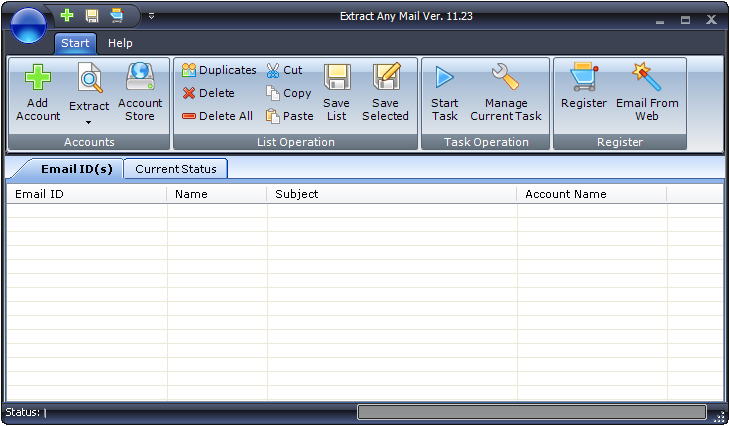 It has ability to check multiple email accounts at the same time.